Mark is today a Vice President, Fellow and former Chair of the Institution of Environmental Sciences (the professional association for the environmental sciences), a Fellow of the Linnean Society (the world's oldest extant biological society), and has been a Trustee and Director of the Freshwater Biological Association as well as serving on numerous government advisory panels. 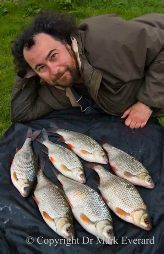 Mark is also a lead co-author for one habitat chapter and a contributor to others of the UK National Ecosystem Assessment. Mark's interests span a great deal of international development commitments, across five continents and generally pertaining to the freshwater environment and its equitable and sustainable use.